Destination Wedding Photography – Europe 2014! Mai, August and September dates are still available! Every now and then we get an enquiry for a destination wedding. Unfortunately Australia is pretty far away from a lot of destinations and requires extensive travel. But we love to do them – see different ceremonies and cultures and often we can combine them with a short or longer holiday if possible. As Melbourne gets colder some Australians decide to get married overseas. Destinations such as Bali, Fiji and Thailand are very popular. Some make the move from Melbourne to the warmer states such as Queensland to celebrate a beach winter wedding. But even destinations such as Greece, Italy or France are not uncommon. The cultural diversity in Australia is so broad that there are no destinations unthinkable. This year is special and we are already booked twice in Europe. This means we have some other times available for weddings in Europe in 2014. This enables us to offer destination weddings at a cheaper price as the long flight is already paid for. We shot last year 2 weddings in Europe and they were both fantastic (have a look at one here: Chiemsee Wedding) and we are looking forward to some fantastic weddings in 2014. Our style is very natural in a photojournalistic way. We love to document your big day from the beginning to the end. We document the wedding as it happens directing you a little bit to find the right light to get the best pictures of your big day. Showing love and emotion. We will be based in Germany but are happy to travel if possible. 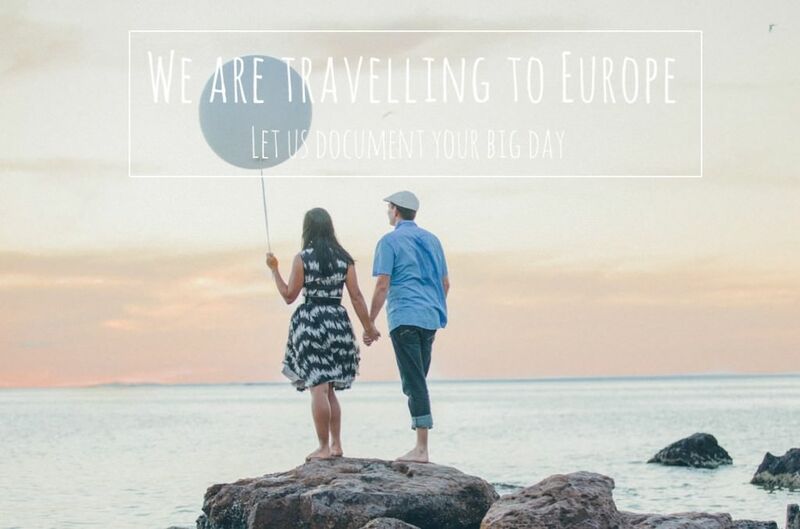 Get married in Europe in 2014? We would love to photograph your wedding! In case you get hitched in Europe in 2014 or know somebody in England, Scotland, Ireland, Spain, France, Germany, Norway, Iceland, Austria, Italy, Switzerland, … or somewhere else in Europe (or even northern Africa) who is looking for a wedding photographer … let us know! There might be one lucky bride! We would love to be able to photograph your special wedding.